ST. GEORGE — In conjunction with its Mental Wellness Week, Dixie State University shared the message of “It’s OK not to be OK” through a presentation of a powerful music video. 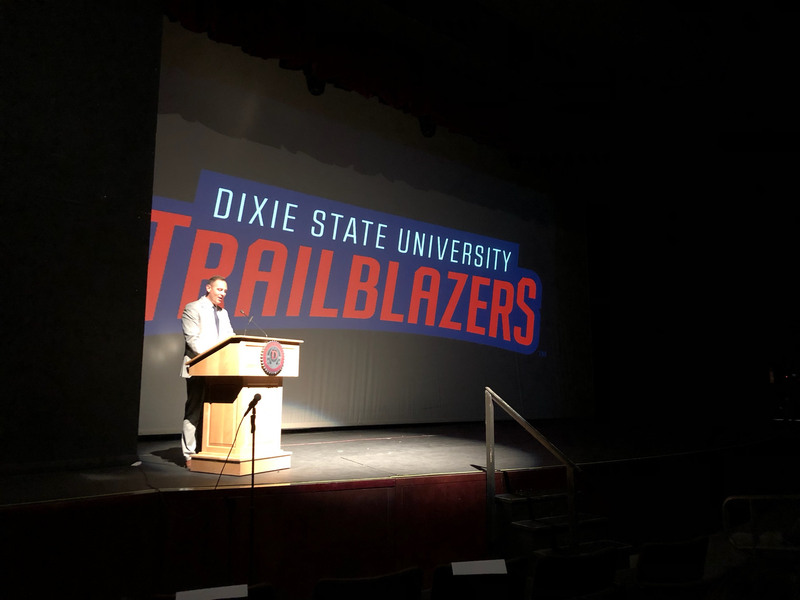 After premiering the emotional music video for “You will be found” featuring Dixie State’s song and dance performance team Raging Red Thursday afternoon, the room was silent. The only sound was quiet sniffling, while peopled wiped away tears rolling down their cheeks. The song, written by Benj Pasek and Justin Paul for the stage musical “Dear Evan Hansen,” presents a strong message about mental illness, specifically suicide. 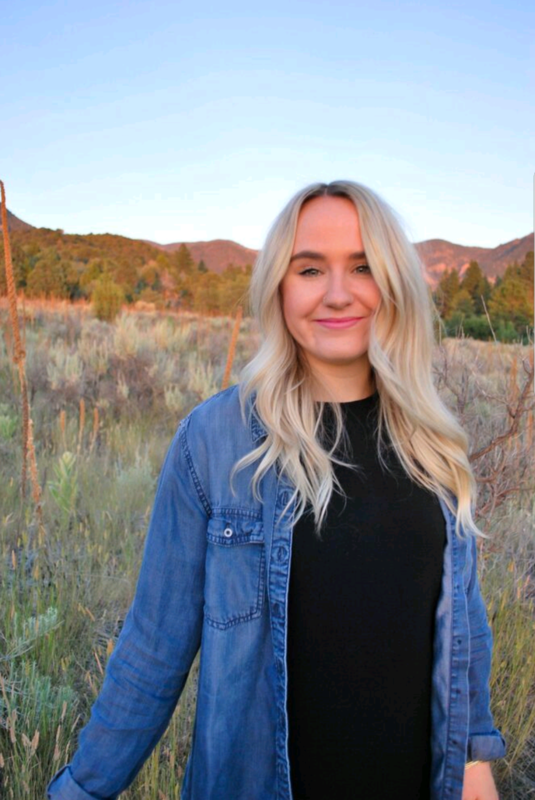 To raise awareness for mental health struggles, Dixie State’s marketing team and Raging Red created the music video with a little less than a month to do so. The video features Raging Red performers holding up signs with struggles that resonated with them, such as addiction, racism, self-harm, abuse, anxiety and depression. Throughout the music video, Issac Castaneda, a sophomore dance major and the main subject of the video, holds up a sign saying “I’m not okay.” For him, the sign and the song are a representation of how he felt when he first started attending Dixie State. Castaneda and his best friend were both planning on attending the university together when his best friend committed suicide – ultimately leading to him feeling lost and suffering from thoughts of suicide. Besides Castaneda sharing his story and what it was like to film the music video, other performers discussed why they chose to hold the signs that they did in the documentary. 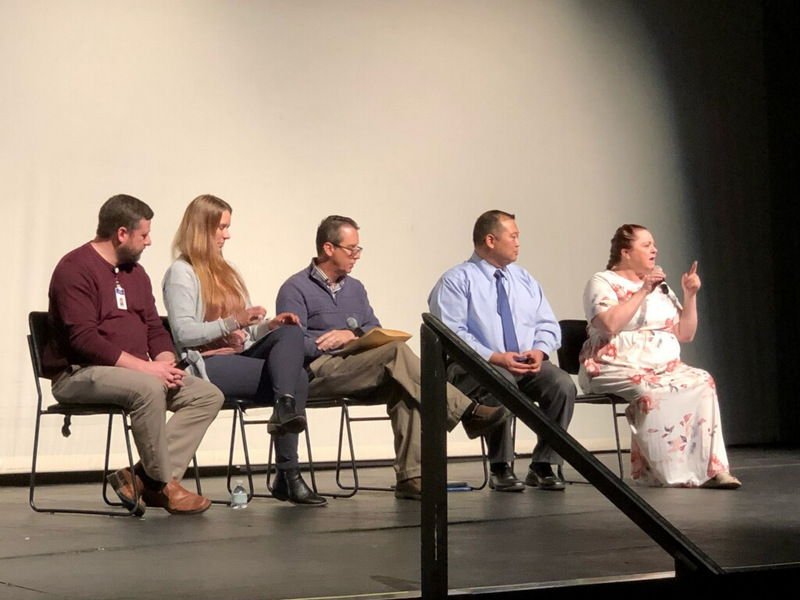 After premiering the music video and the behind-the-scenes documentary, Dean of Students Del Beatty moderated a Q&A featuring a panel of mental health professionals from the university and surrounding area. Director Dylan Matsumori, of the Health and Counseling Center; Jamy Dahle, a mental health counselor and outreach coordinator; Dr. Paul Staheli, a psychologist with the Southwest Behavioral Health Center; and Jeremy Nielsen, behavioral health manager for Intermountain Healthcare, discussed what mental illness is, the stigma surrounding it and what resources are available in the community. Merrilee Webb, former director of Raging Red, also joined the panel. Matsumori described mental health as being a continuum. Panelists also discussed the stigma of people believing that mental illness is something that you can just quickly get over. In order to help break the stigma, panelists suggested that people be more open minded and to validate someone’s feelings if they reach out to you about their struggles. If someone is struggling with suicidal thoughts, it’s important to get them to professional help as soon as possible. If you are struggling with thoughts of suicide, call the National Suicide Prevention Lifeline at 1-800-273-8255 or contact the Crisis Text Line by texting TALK to 741741. The Dixie State Health and Counseling Center is located at 1037 E. 100 South. To make an appointment, call 435-652-7755.